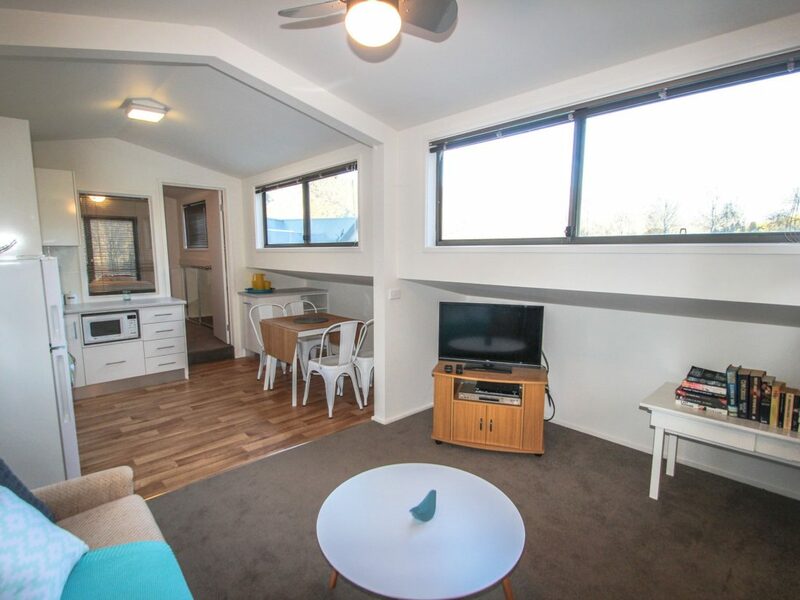 Find relaxation and serenity or the ideal cosy base for your Alpine Valley adventure at The Loft on Smoko Rise. This comfortable and stylishly furnished barn conversion offers peaceful living for a couple with everything you could need at your fingertips. The new well equipped kitchens features on oven with gas cooktop, full size fridge and microwave, as well as appliances. Dine in after a day exploring and jump into your queen size, comfort top bed for the perfect nights sleep – ready for the next day. The cosy and comfy lounge area features a television, DVD player and a selection of books to curl up with. At night snuggle on the couch with the stunning alpine stars filling the sky through the high windows. During the day, enjoy views of Feathertop as you walk past. The neat bathroom has a bath for extra relaxation. A washer/dryer combo adds to the comforts and ease of living, you will really have everything you need. The cosy and comfy lounge area features TV/DVD and a selection of books to curl up with. At night snuggle on the couch with the stunning alpine stars filling the sky through the high windows. During the day, enjoy views of Feathertop as you walk past. The neat bathroom has a bath for extra relaxation. A washer/dryer combo adds to the comforts and ease of living, you will really have everything you need!